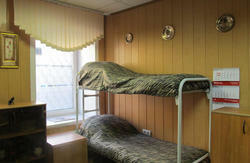 This hostel is located in the centre of Saint Petersburg, just a 3-minute walk from the Sennaya Square. 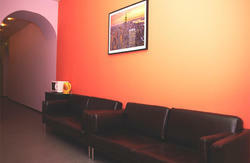 Free Wi-Fi and a 24-hour reception are featured at Intouch Hostel. The bright and stylish hostel rooms offer modern interiors and colourful décor. The shared bathrooms are in the hallway. Guests can cook their meals in the shared fully equipped kitchen, complete with a dining area. A variety of cafés and restaurants can be found within a 5-minute walk from the hostel. The central Nevsky Prospekt is a 12-minute walk away. The Fontanka River Embankment is a 6-minute walk from the hostel. 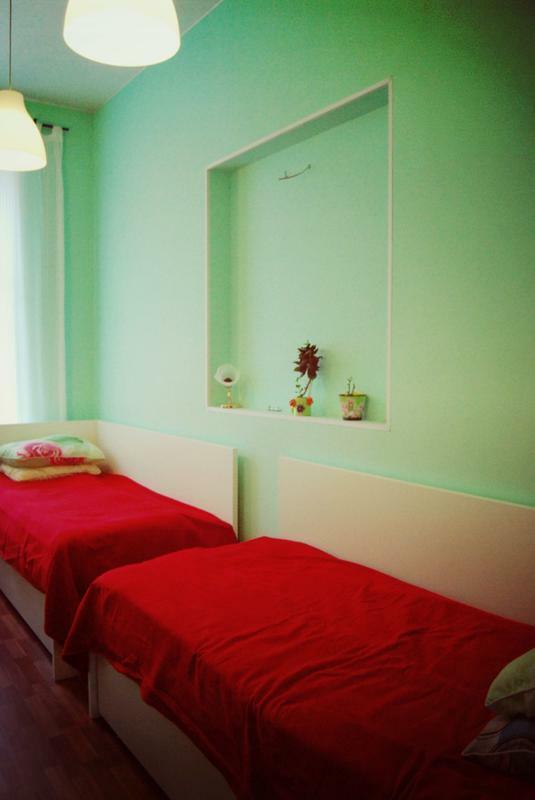 Sadovaya and Sennaya Ploschad metro stations are a 5-minute walk from Intouch Hostel. Moskovsky Train Station is 2.5 km away, and Pulkovo International Airport is 19 km from the hostel. Non-smoking rooms, designated smoking area. then by metro: Moskovskaya - Sennaya Ploshad'. Out of metro turn right, then pass 150 m by feet in a direction of Nevskiy Prospect to the next crossroads with [Gorohovaya] street​, turn left and cross the street. House #41 is just round the corner, here is 'In Touch' Hostel! Direct small buses called [marshrootka] #K-213 and #K-3 from airport to Sennaya Ploshad'. Then pass 150 m by feet in a direction of Nevskiy Prospect to the next crossroads with [Gorohovaya] street, turn left and cross the street. House #41 is just round the corner, here is 'In Touch' Hostel!